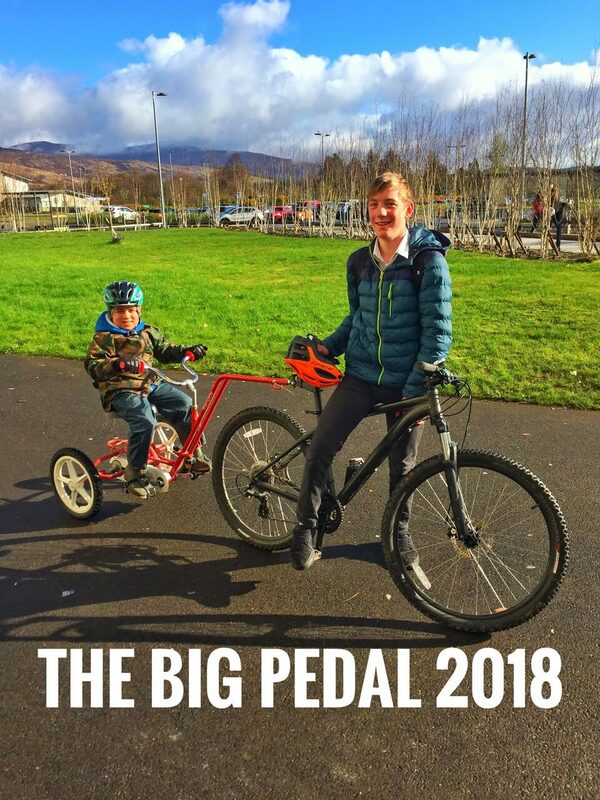 The challenge of The Big Pedal 2018 at Lochaber High School has been entertaining and an enormous success over the past week. The Sustrans Big Pedal 2018 – a UK-wide event to get more young people and staff cycling to school is backed by world record breaking cyclist Mark Beaumont. There’s been a great response from both pupils and teachers so far despite the interesting weather. On the first day there was an amazing 42 cyclists, up 75% compared to the first day in 2017. Numbers have continued to grow all week and organisers are hopeful of overtaking last years grand finale of 69 cyclists on the final day, Friday 4th May. There has been a huge amount of support from the school, local businesses and other organisations involved with young people. Due to their generosity there are a large number of prizes to be won. Any pupil or teacher has their name entered in to the prize draw for every time they cycle. The prizes include the latest Ipad and a brand new bike, as well as countless other vouchers and gifts. High Life Highland, DYW (Developing the Young Workforce).